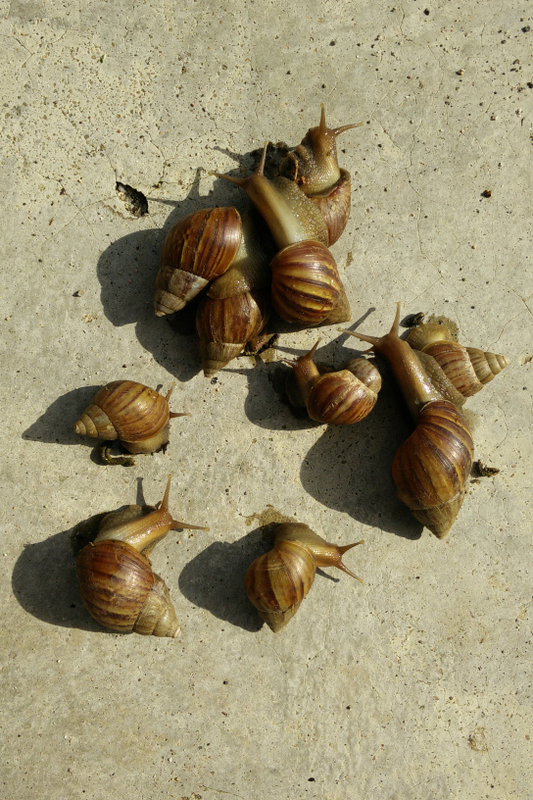 a rout of giant african snails before the impending decimation. ketereh, kelantan july 2014. This entry was posted in malaysia, photos and tagged achatina fulica, giant african snails, invasive, kelantan, ketereh, land snail, pest, photo, photography. Bookmark the permalink.